Watch videos of the U of S Canada 150 Conversations with former prime ministers Jean Chretien, Kim Campbell and Paul Martin. What kind of Canada do YOU want in the next 50 years? That’s an important question for all Canadians as we mark the 150th anniversary of Confederation, and it’s particularly important for leading research universities like our own which are incubators of ideas that change the country and the world. 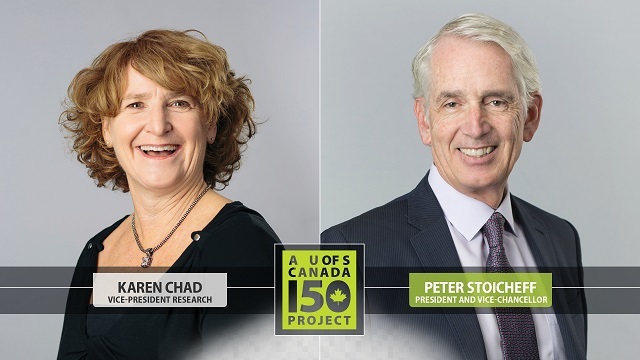 The U of S Canada 150 Project looks back over our university’s 110-year history to celebrate the many achievements of our faculty, students, staff and alumni who have helped shape Canada. Zondra (“Zoey”) Roy A youth activist and community leader who is pursuing a Bachelor of Education in the U of S SUNTEP program.